After being surrounded by such splendid companions with whom you could argue so much, why did you leave the world of animation? After working on animation at the same place for a long time, I start to feel like water that's beginning to stagnate. Besides, there was no guarantee I would be able to continue working with my like-minded peers forever, so I decided to leave the company and accept work on a freelance basis. However, while I may have been free, I wasn't working on the core of anything, just parts. So you undertook pieces of larger works. It was stress free, but it was not interesting. It's either back-breaking but interesting or easy but uninteresting. Then Ike-chan - Hiroshi Ikeda - approached me. 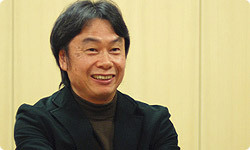 Ikeda-san has already retired from Nintendo, but he was once Miyamoto-san's boss. Ike-chan also joined Toei Animation when I did. That's why I call him Ike-chan. He's older than I am, but I argued with him a lot, too. Like when we made Flying Phantom Ship9. He was the director and I was the animation director. 9 Flying Phantom Ship is an animated film that was released in 1969. It was produced by Toei Animation Co., Ltd.
Miyamoto-san, sorry to have kept you waiting. How many years after you joined Nintendo did Ikeda-san become your boss? About 7 or 8 years, I think. About the time we were making Super Mario Bros10. He really gave me free rein. He was the first manager of the Entertainment Analysis and Development Department. 10 Super Mario Bros. is a platform game that was released in 1985 for the NES. Kotabe-san, how did Ikeda-san invite you to join Nintendo? As I mentioned, I was free, going through a dull period. 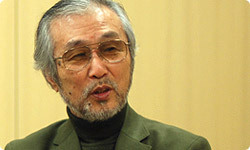 Then I met Ikeda-san in a coffee shop, and he asked if I'd like to join Nintendo. He said that from then on video games were going to require an increasing amount of know-how in animation. That was true. At the time, hardly anyone in the gaming industry knew much about animation. When we made the Popeye11 arcade game, I would watch the cartoon, stopping frame by frame to look at it and draw it myself. 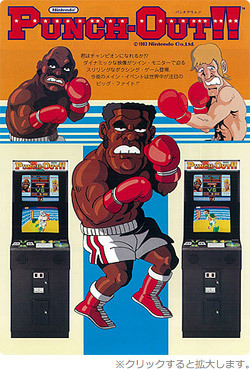 11 Popeye: A Nintendo arcade game that appeared in 1982. The NES version was released in 1983. There was a really famous animation picture book showing frame-by-frame photography of people and dogs running. Even though I was at an art university, I had hardly ever used it. Right. I, too, had always liked animation from flick book manga. I had never thought I would be creating my own animation, though, so I had to dive right in. In the animation world, we study books like that as hard as we can. Like how to make movement smooth. But that gradually came to be seen as unnecessary, because the number of frames got lowered. I see. Anime for commercial television only uses a few frames per second. And there are frames that don't move. No, I just watched others play. (laughs) So I had no idea why animation was necessary for video games. But one or two years was an impossibility. At the time, the environment for you to do your work didn't exist in the game world. When Kotabe-san was to join, what did you think, Miyamoto-san? I didn't think it could be true. I had always liked manga and had watched a lot of animation, but not so much that I knew his name. But when a true animation geek heard Kotabe-san's name, he started shaking. Before I met you, Ikeda-san had introduced me to Mr. Takao Kozai, who illustrated Sally, the Witch and New Star of the Giants. Kozai-san is also from Toei Animation. Really? Nintendo is really in the hands of Toei Animation's venerable elite! 12 Punch-Out!! is a Nintendo arcade game that appeared in 1983. What did you think when you first saw our art? You didn't show me art, you showed me a video game. It was Super Mario Bros. When I first saw all the movements Mario was performing in Super Mario Bros., I thought that video games were now doing what the original animation industry was forgetting. Even at that time, a fair amount of things had been done, including character movement. I could see what you were trying to accomplish, even if you hadn't quite done it yet. But for a while after I joined, I didn't work on animation at all.